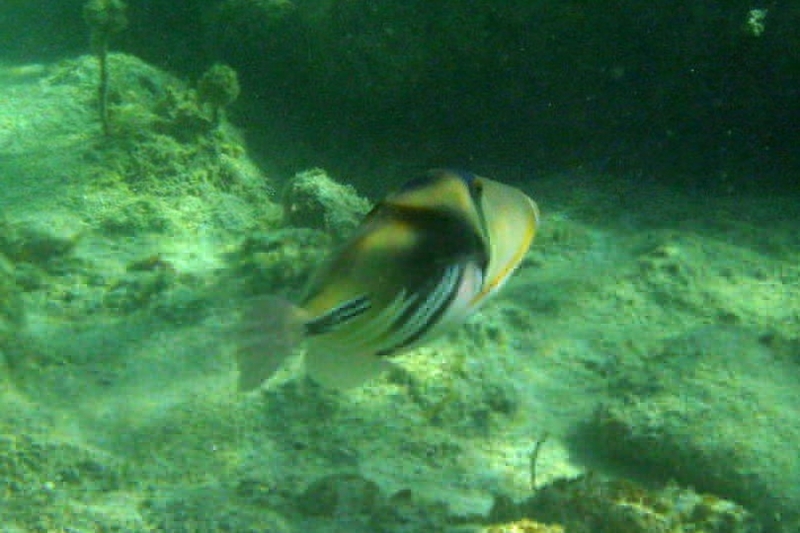 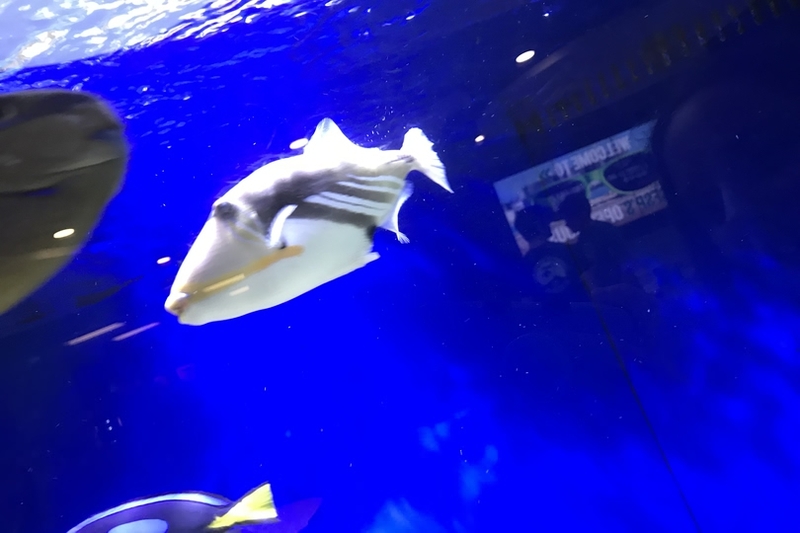 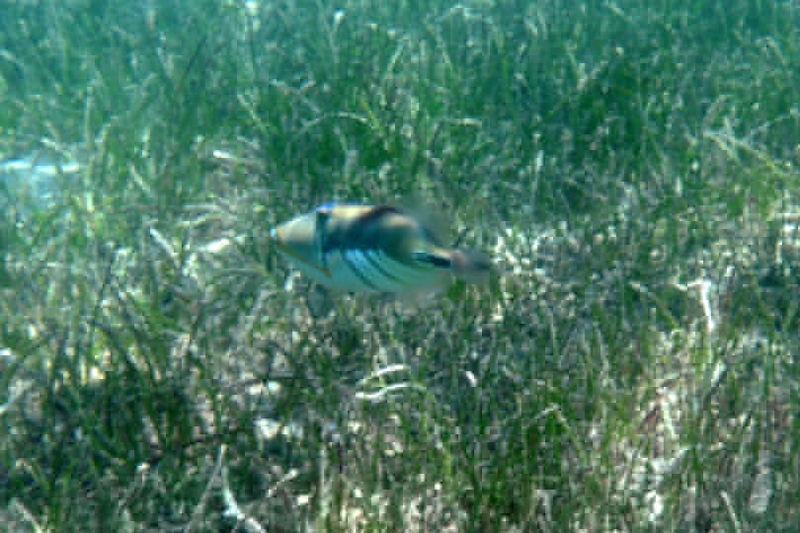 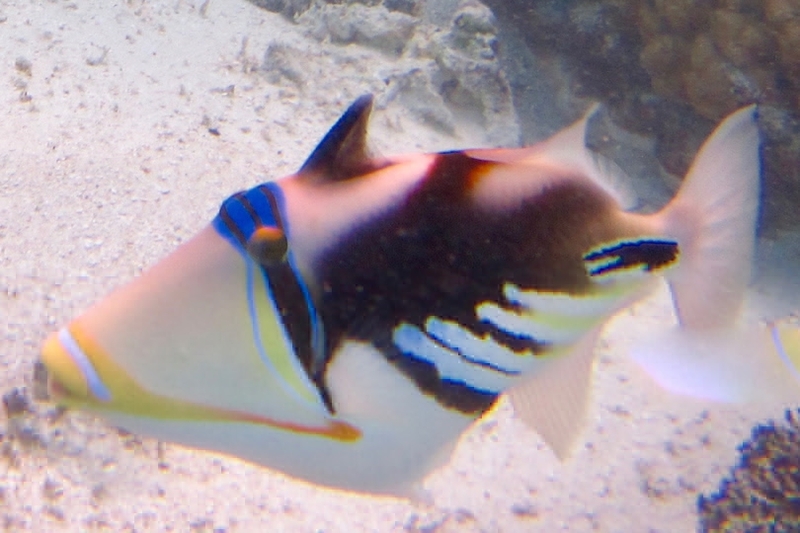 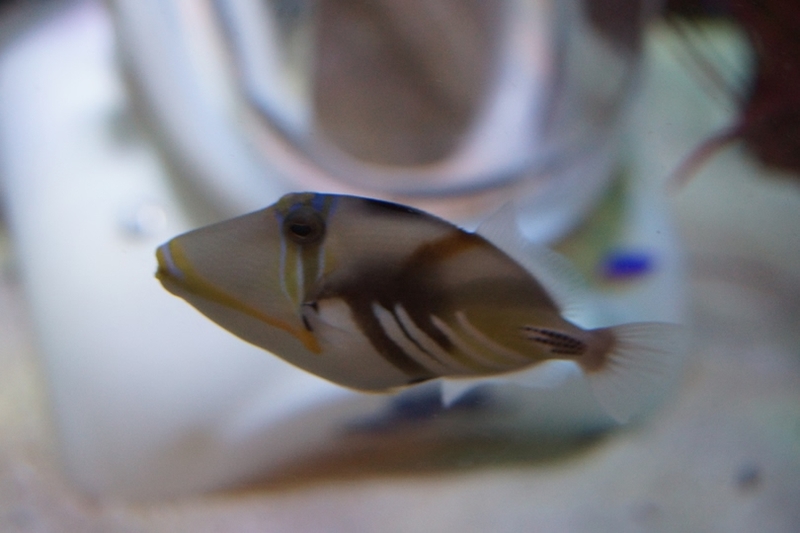 The Picasso Triggerfish - Whats That Fish! 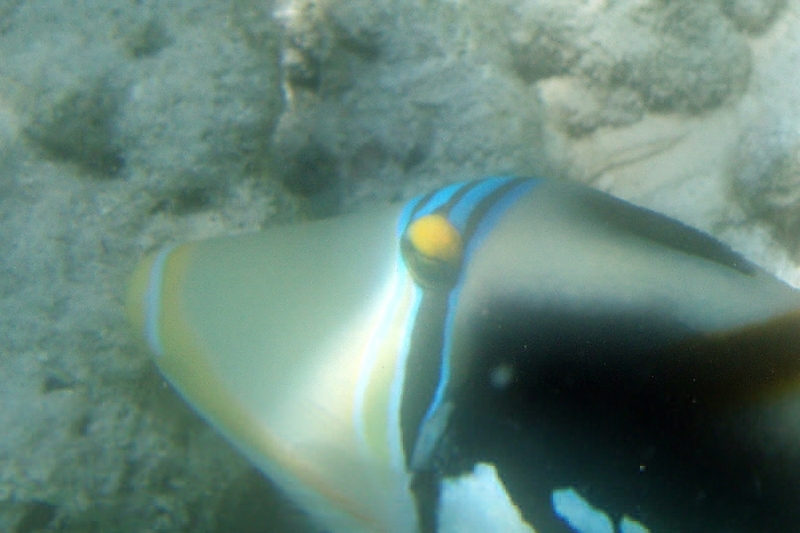 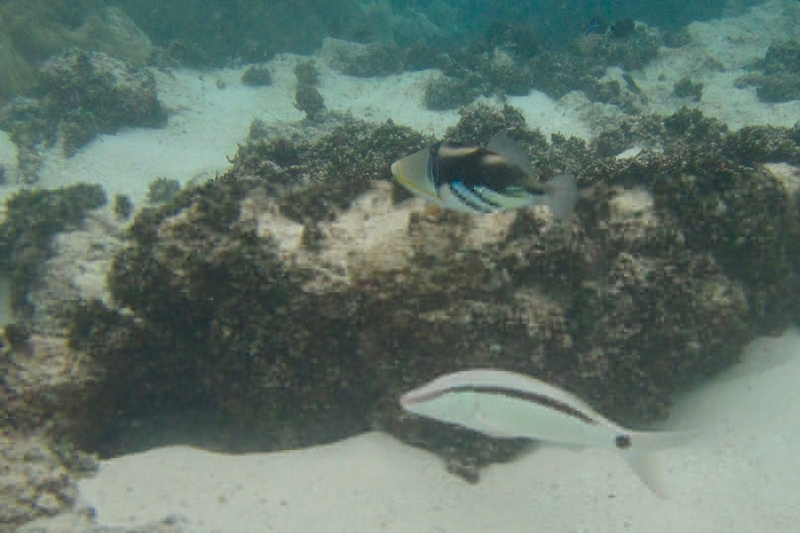 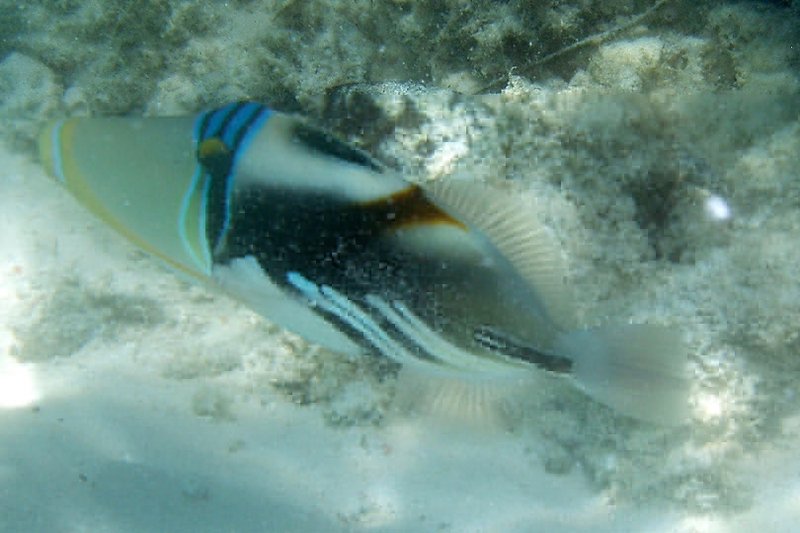 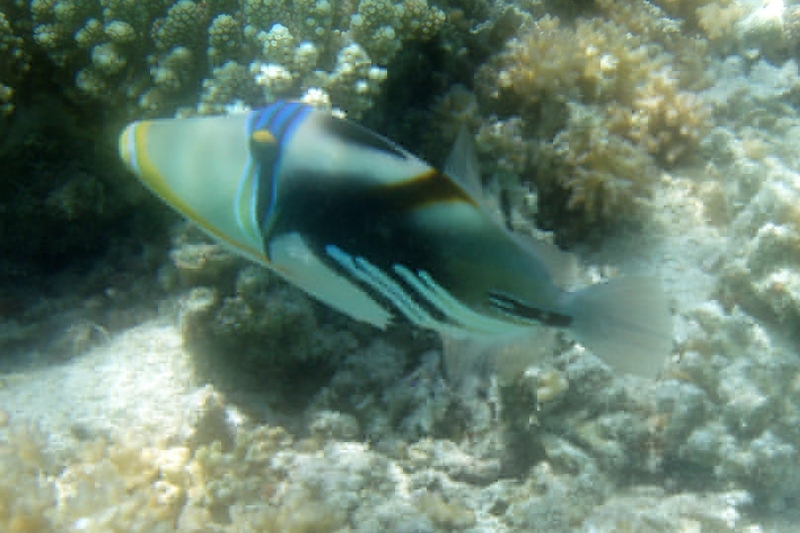 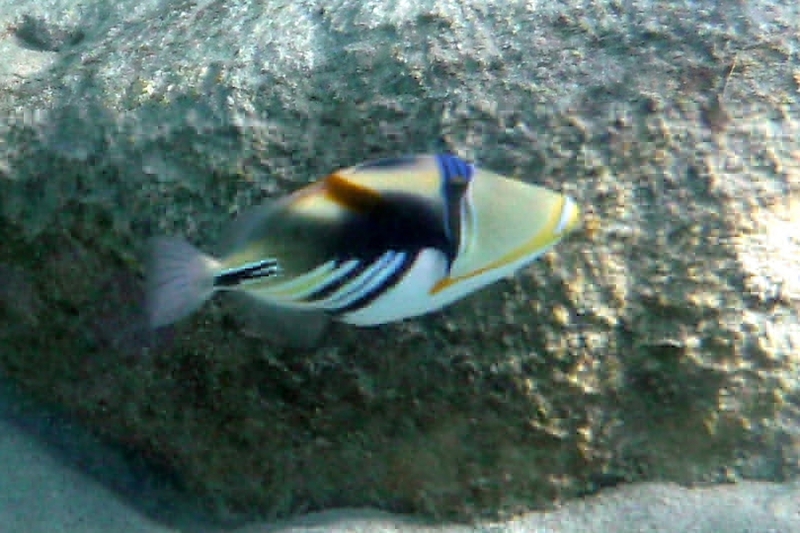 Also known as Blackbar Triggerfish, White-barred Triggerfish, White-banded Triggerfish, Lagoon Triggerfish, Reef Triggerfish, Hawaiian Triggerfish, Huma Huma Trigger, Humu Picasso Triggerfish. 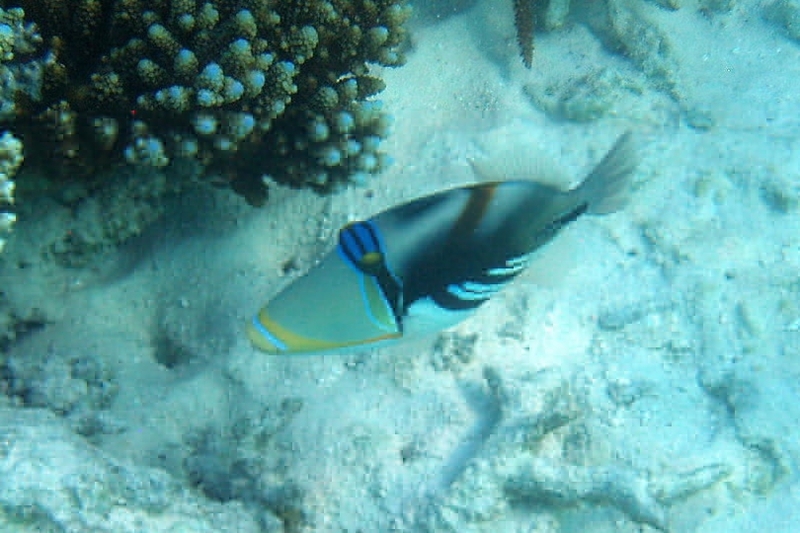 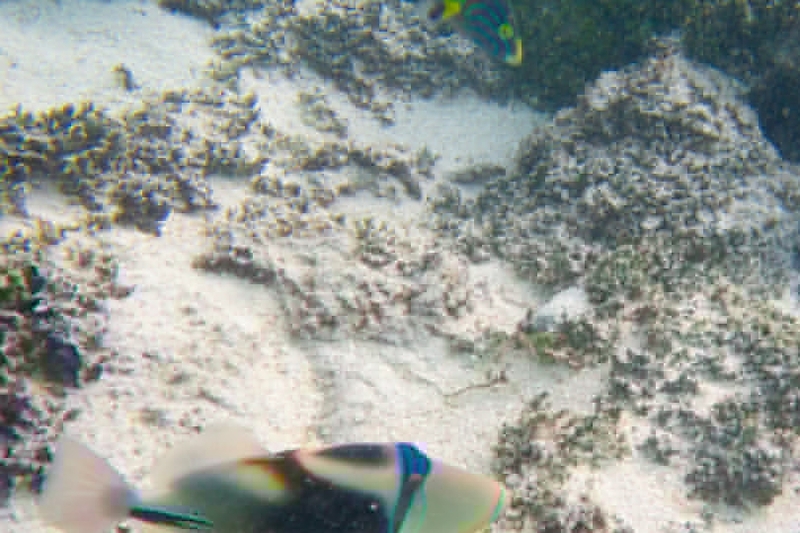 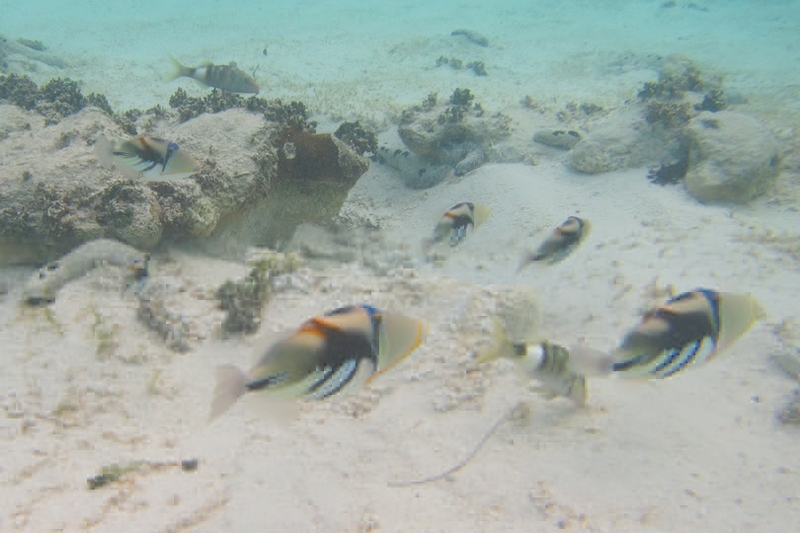 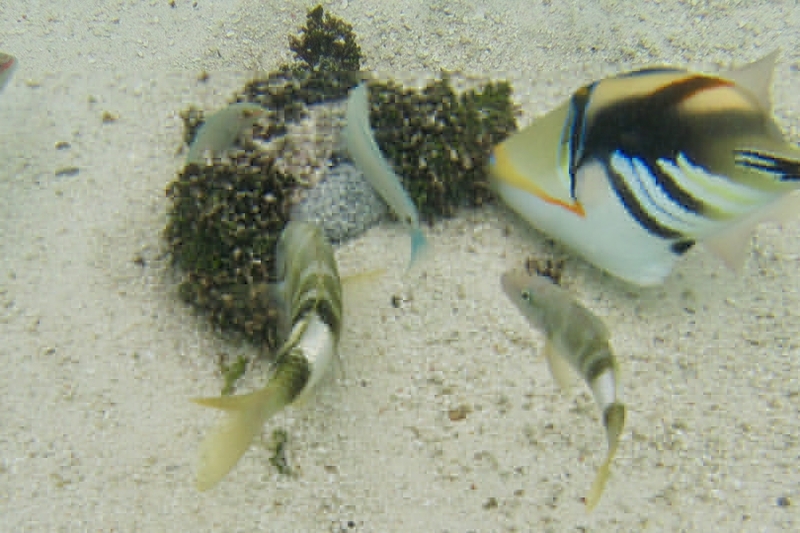 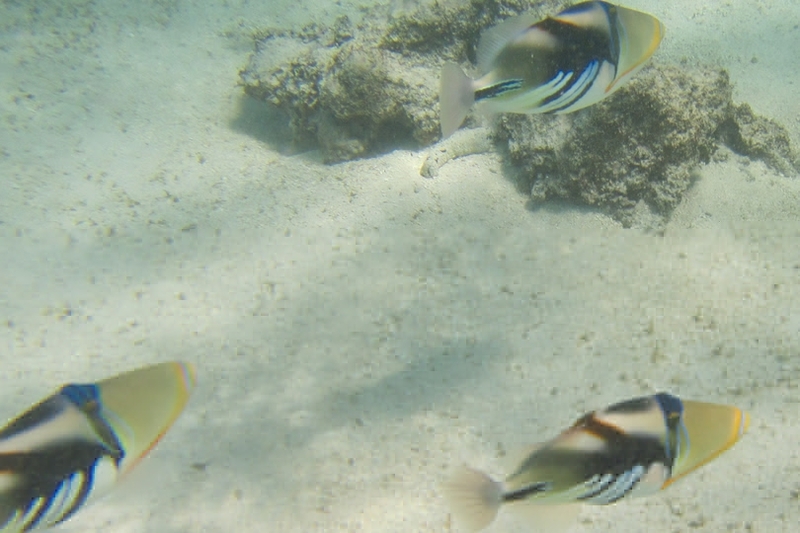 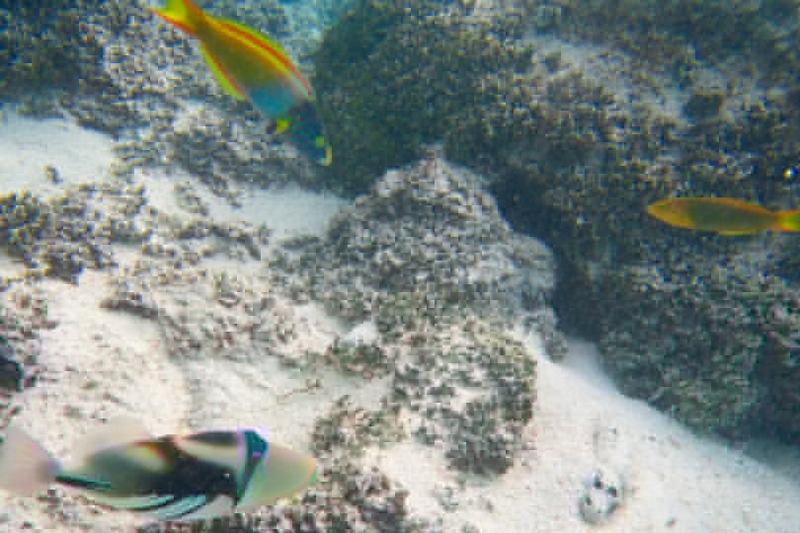 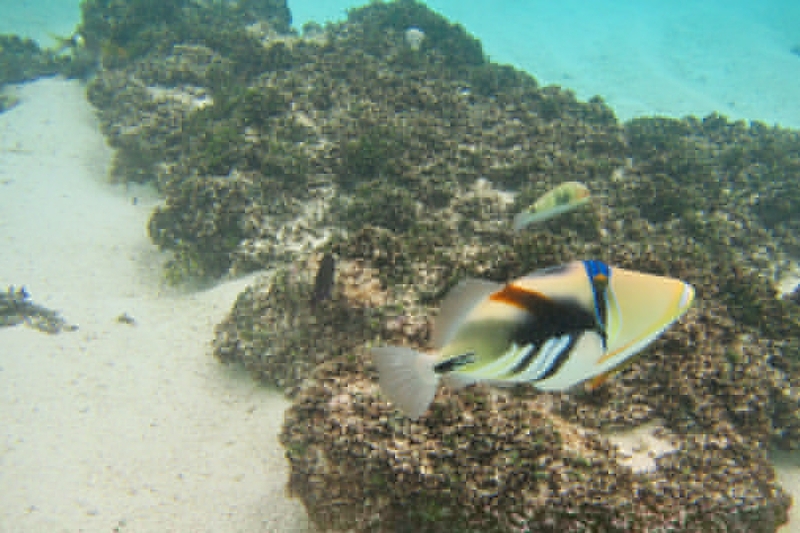 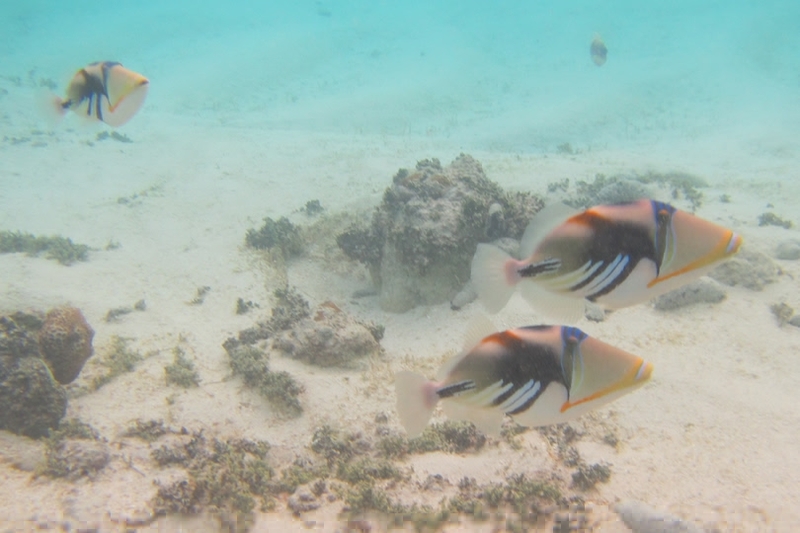 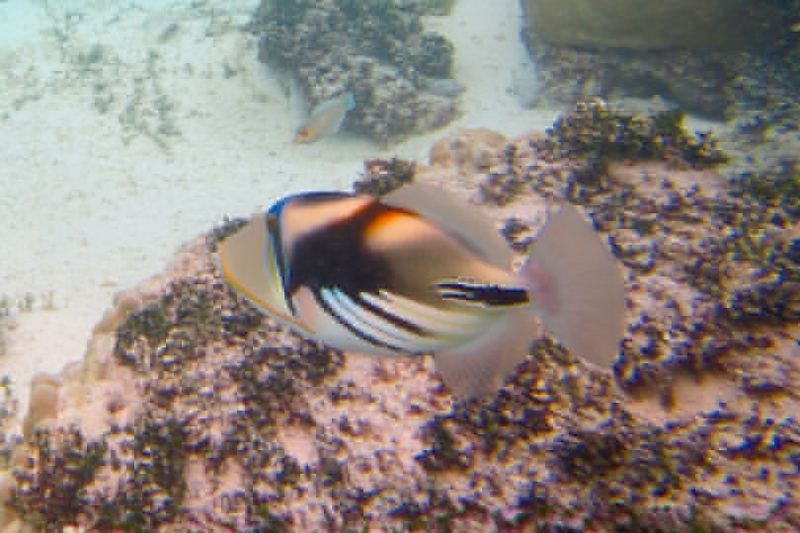 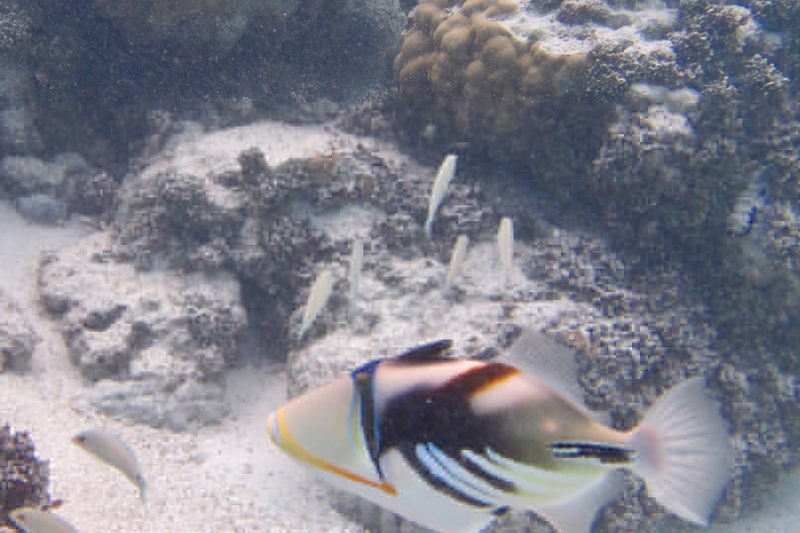 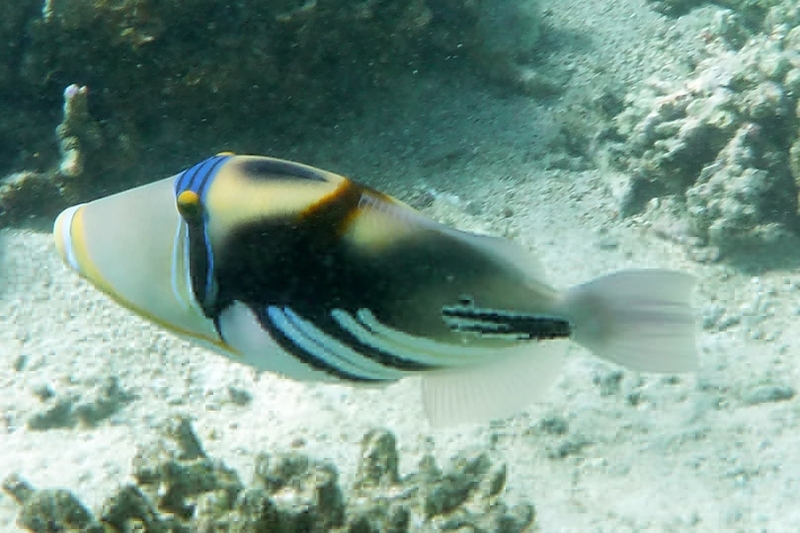 Also known as Blackbar Triggerfish, White-barred Triggerfish, White-banded Triggerfish, Lagoon Triggerfish, Reef Triggerfish, Hawaiian Triggerfish, Huma Huma Trigger and Humu Picasso Triggerfish. 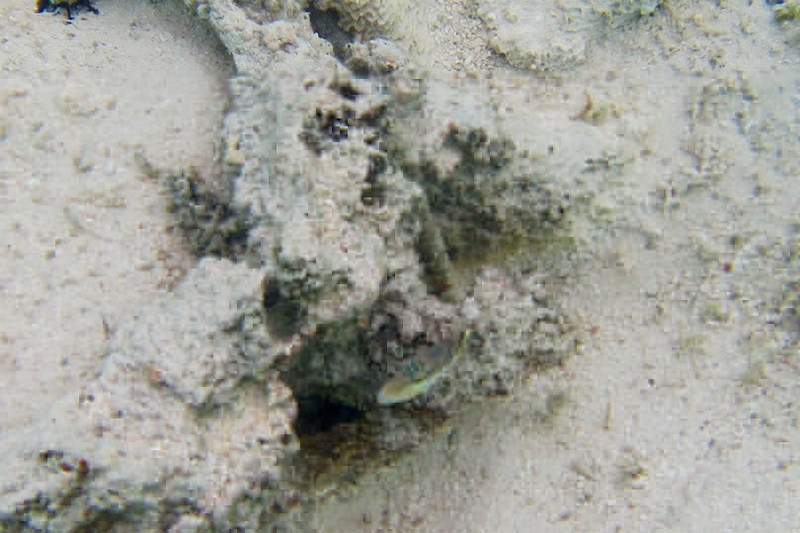 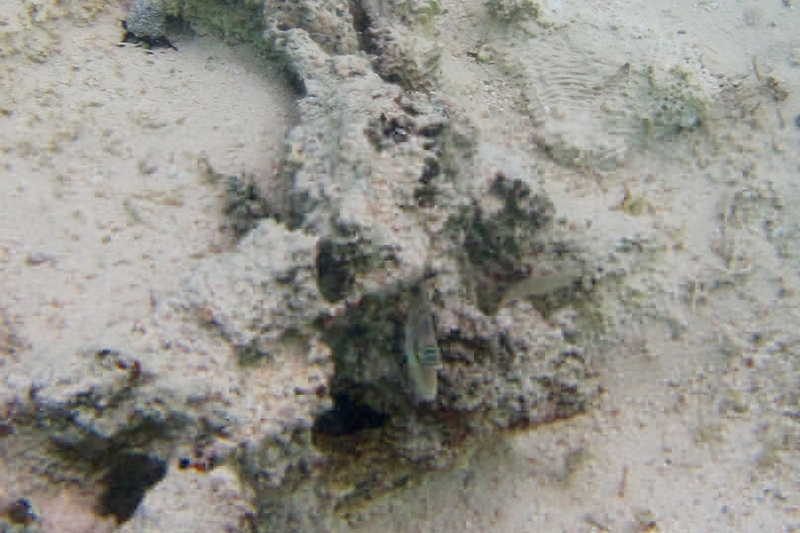 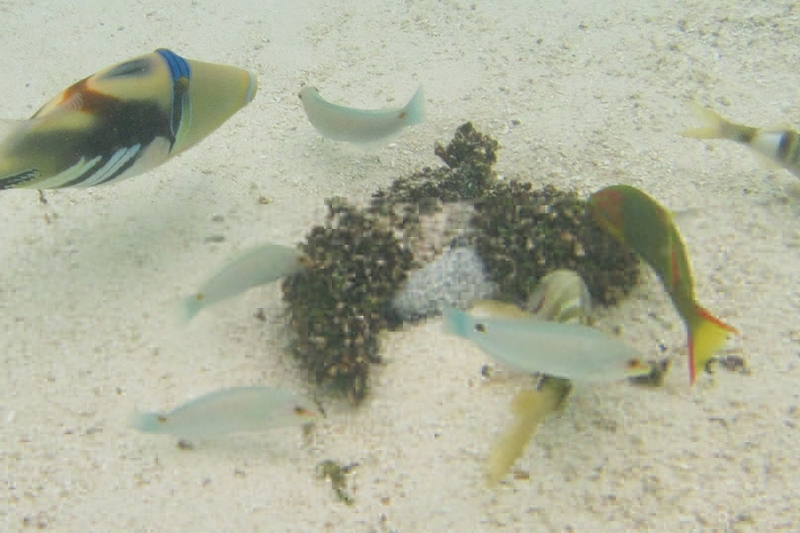 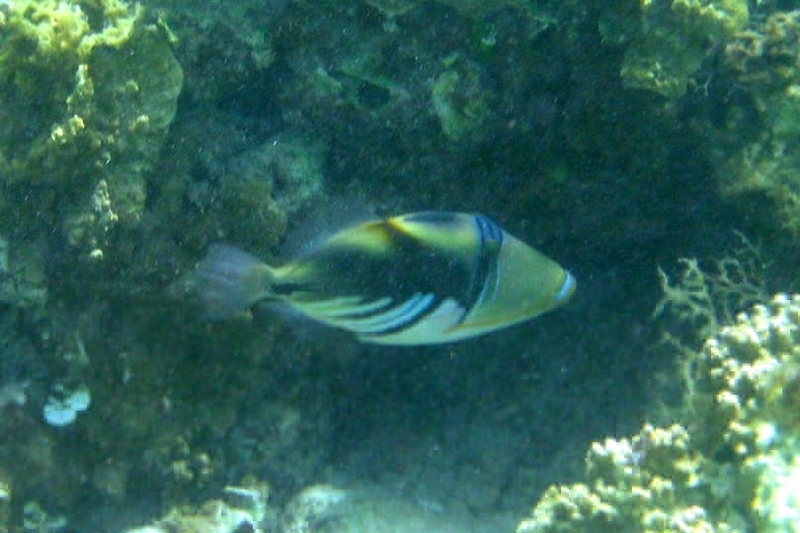 Found singly or in small groups of shallow protected reefs, lagoons and harbours usually around rubble areas or small bommies. 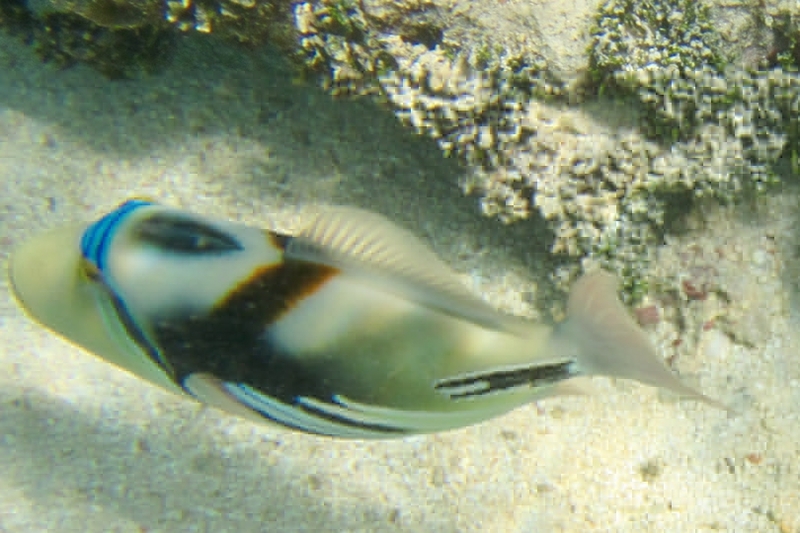 March 23, 2016 at 17:19 pm - 1 person found this useful. 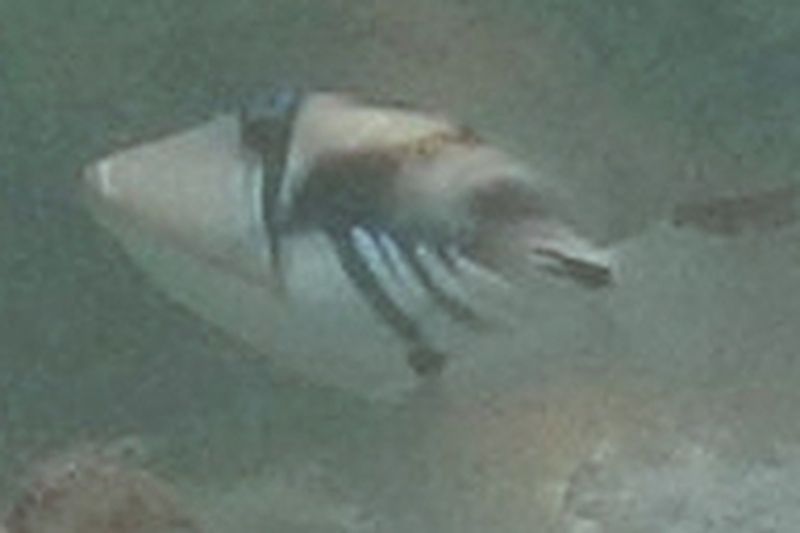 March 20, 2016 at 14:23 pm - 1 person found this useful. 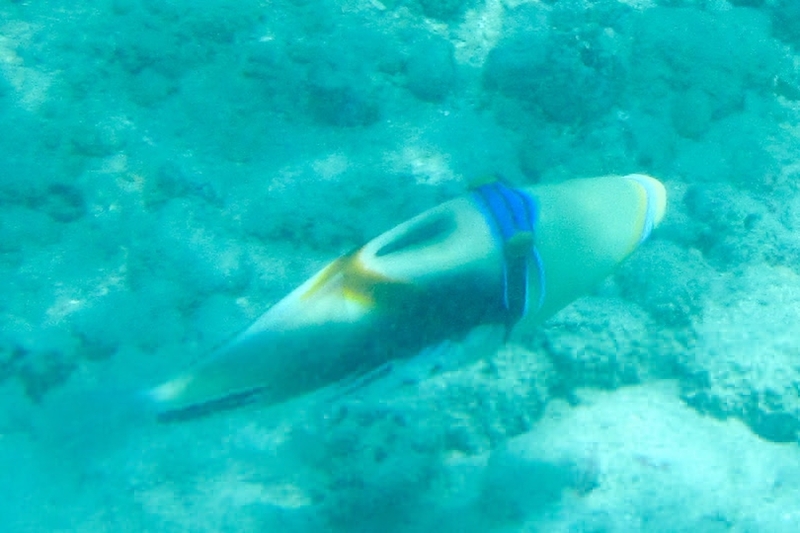 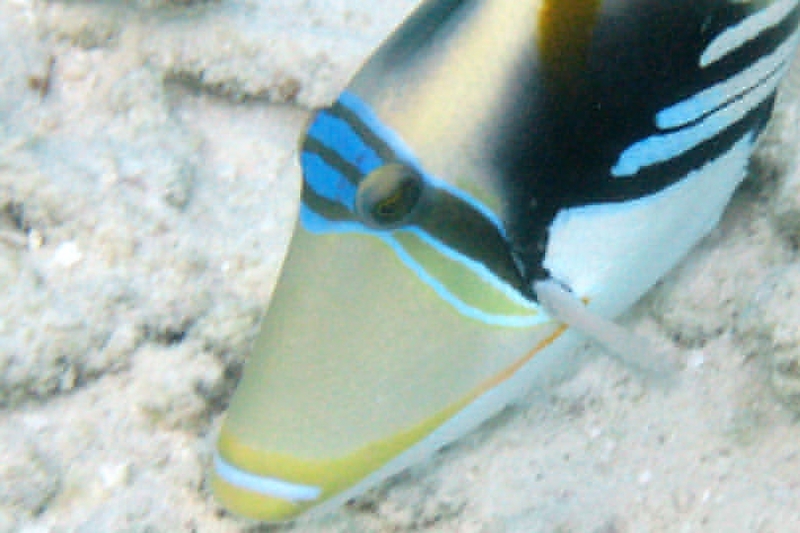 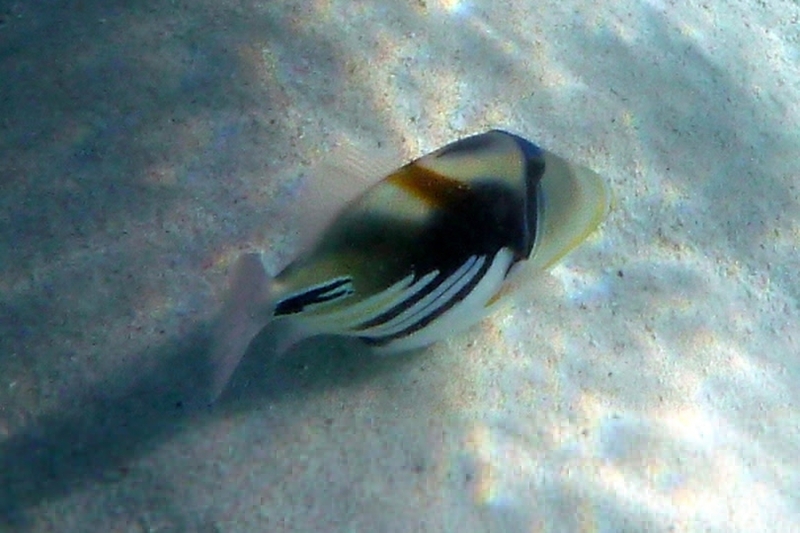 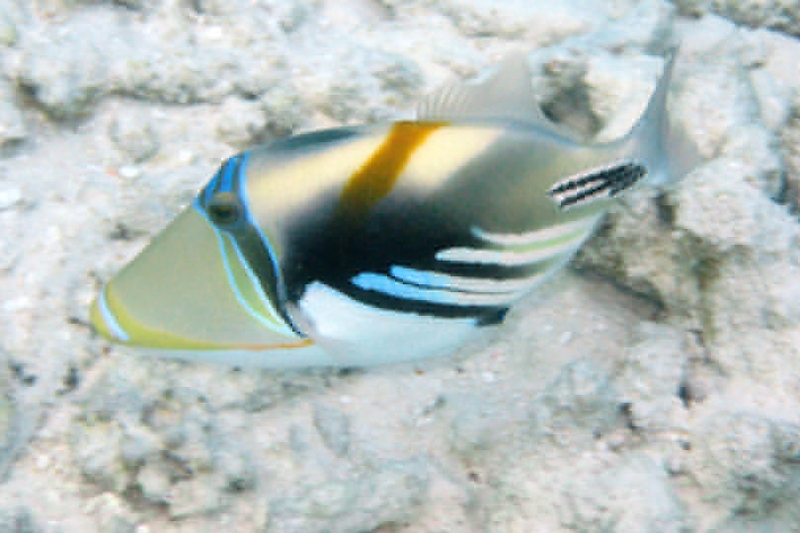 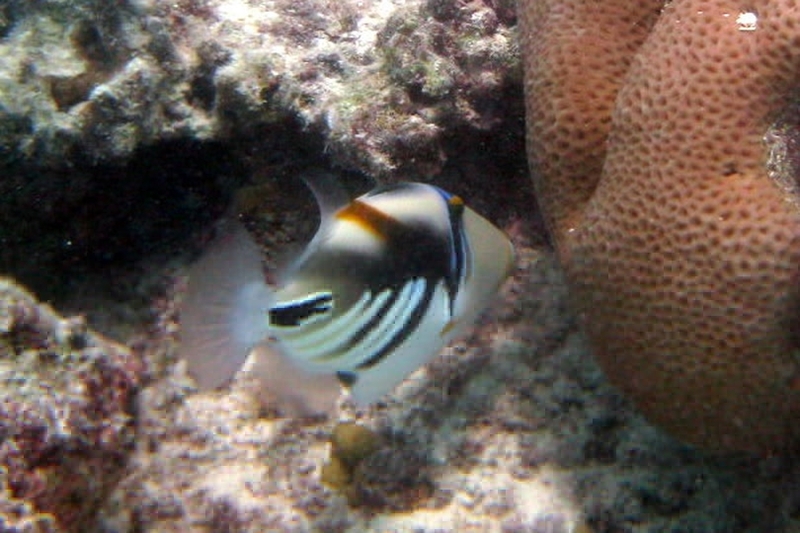 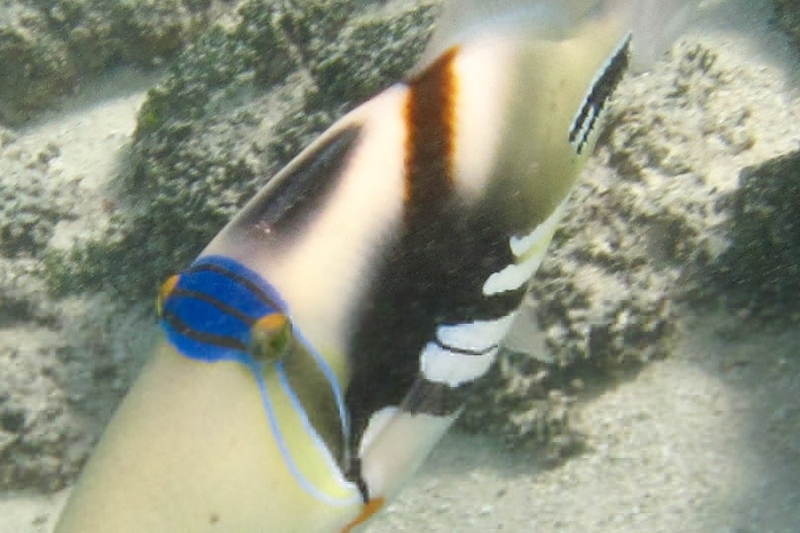 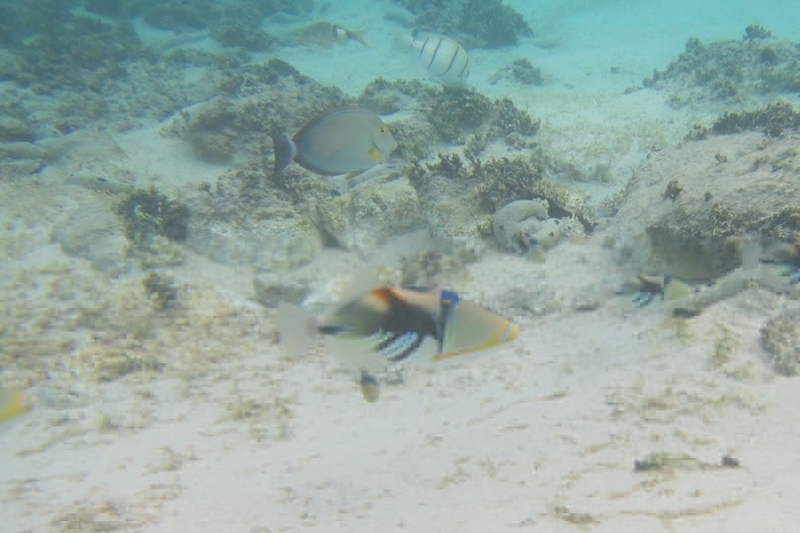 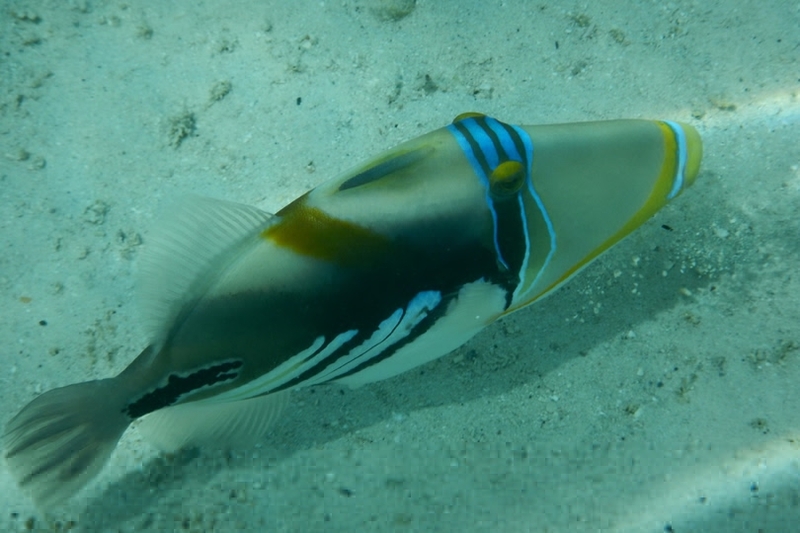 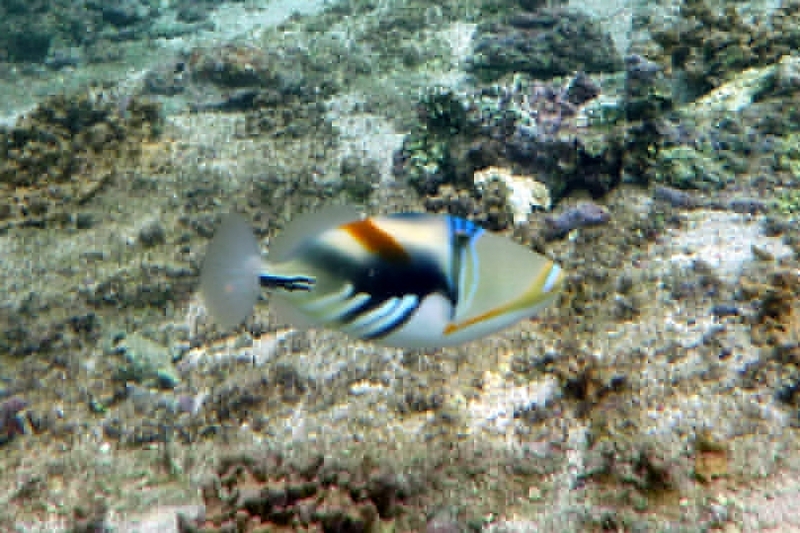 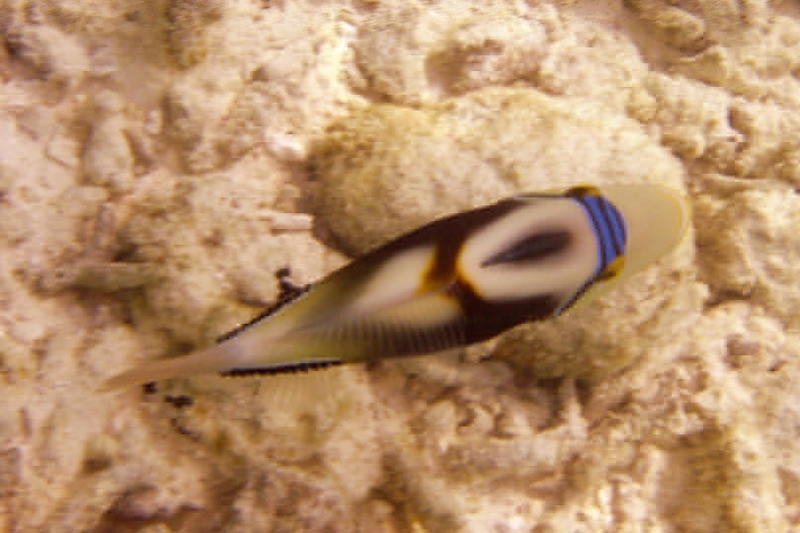 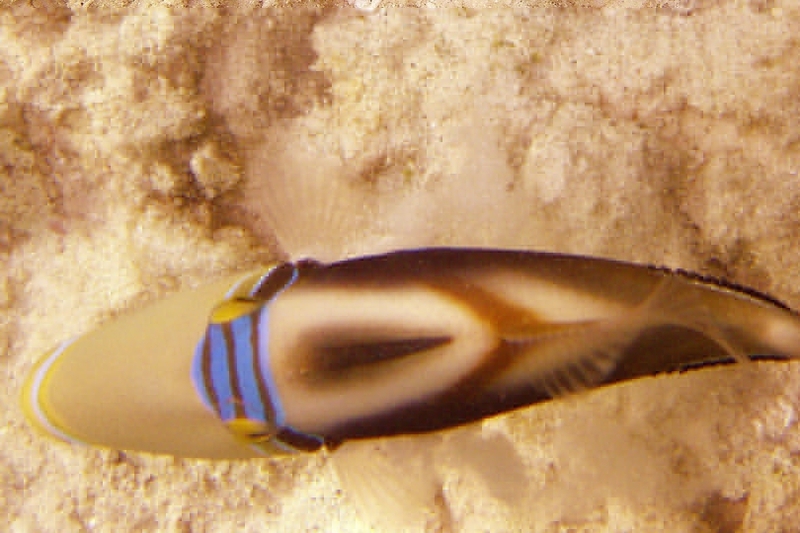 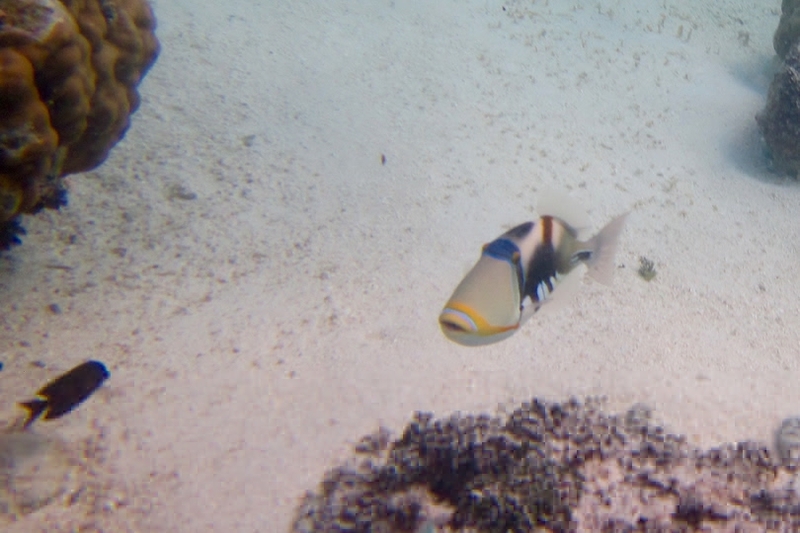 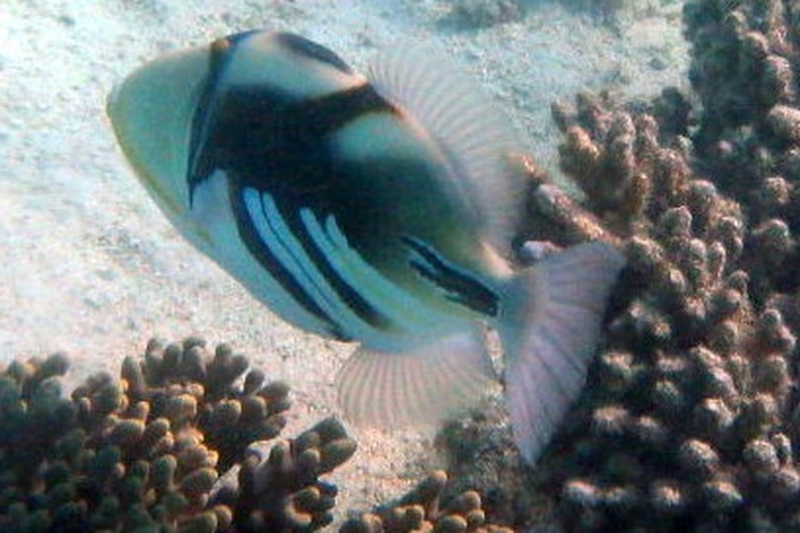 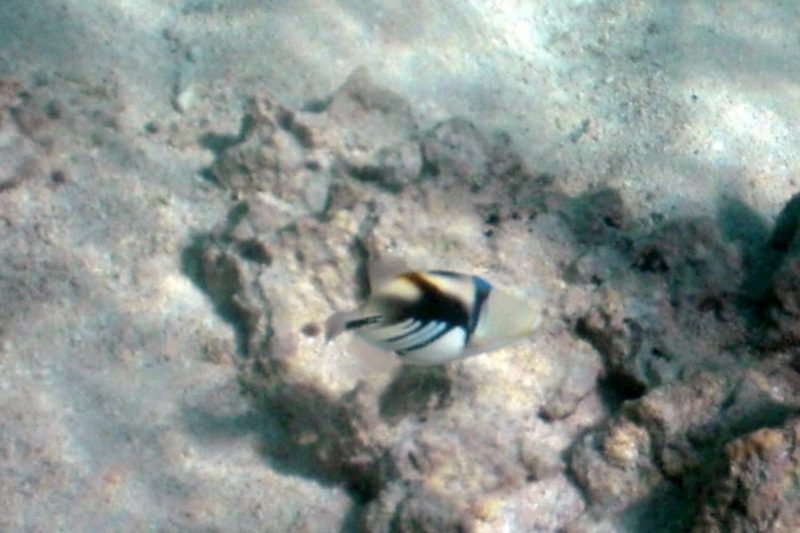 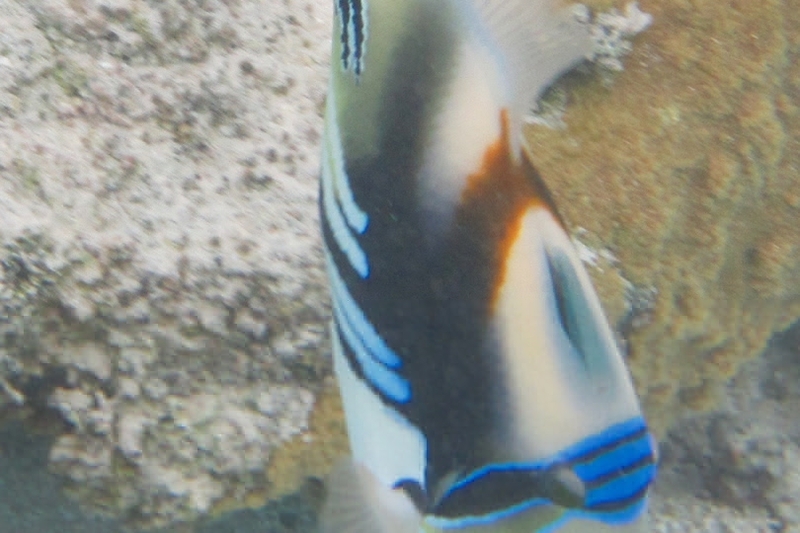 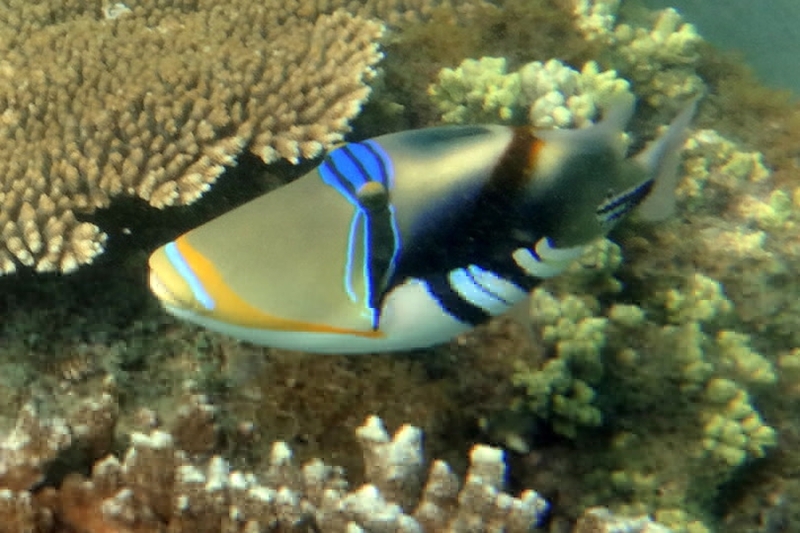 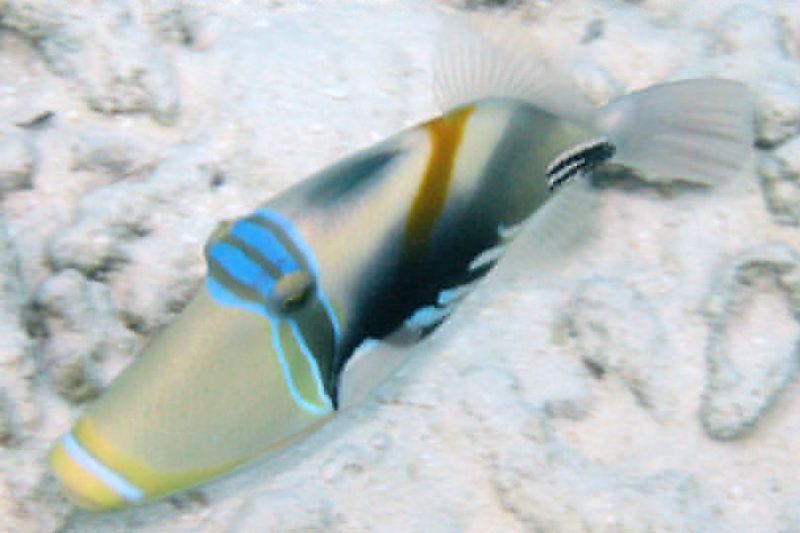 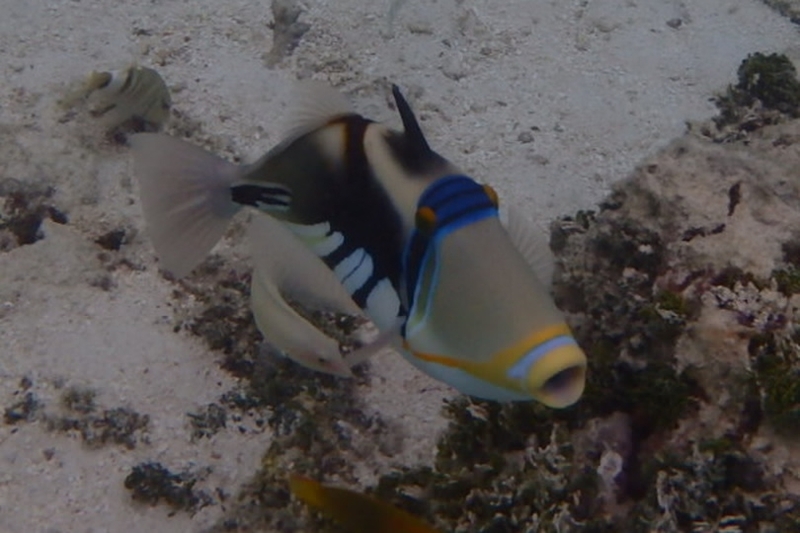 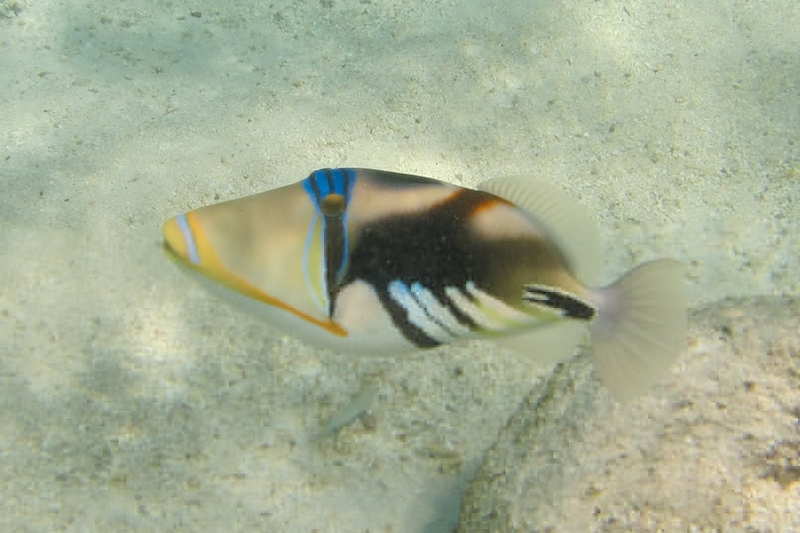 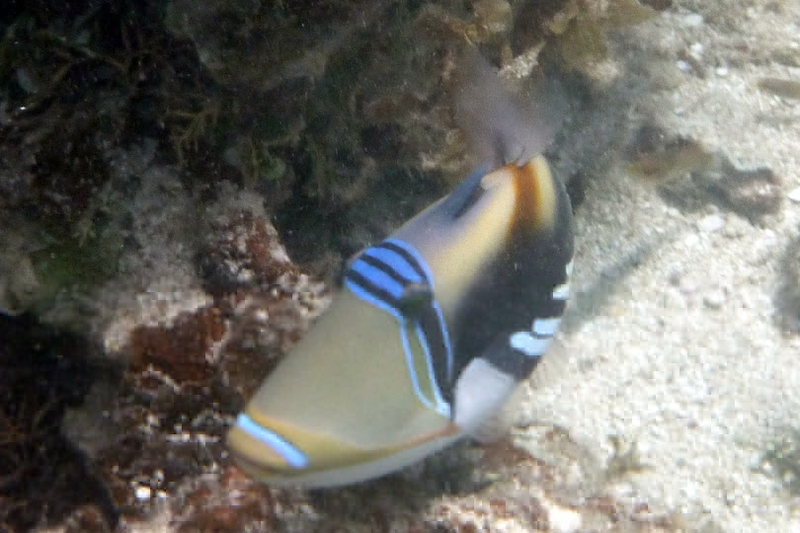 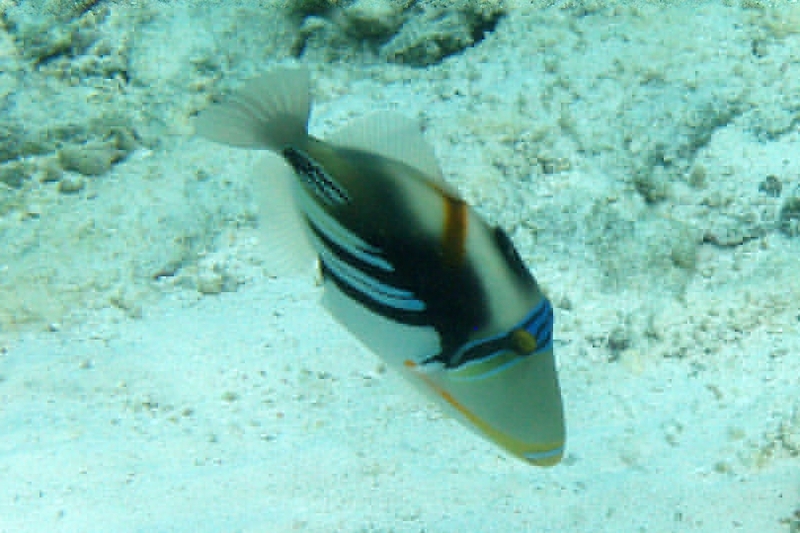 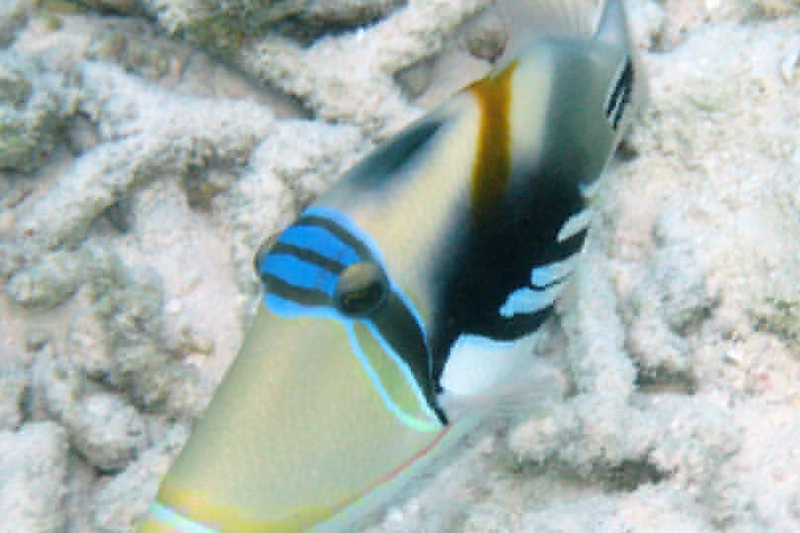 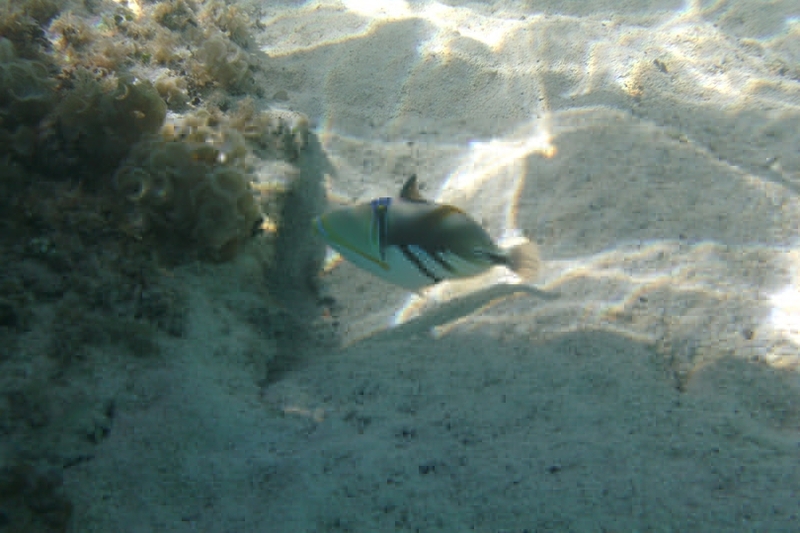 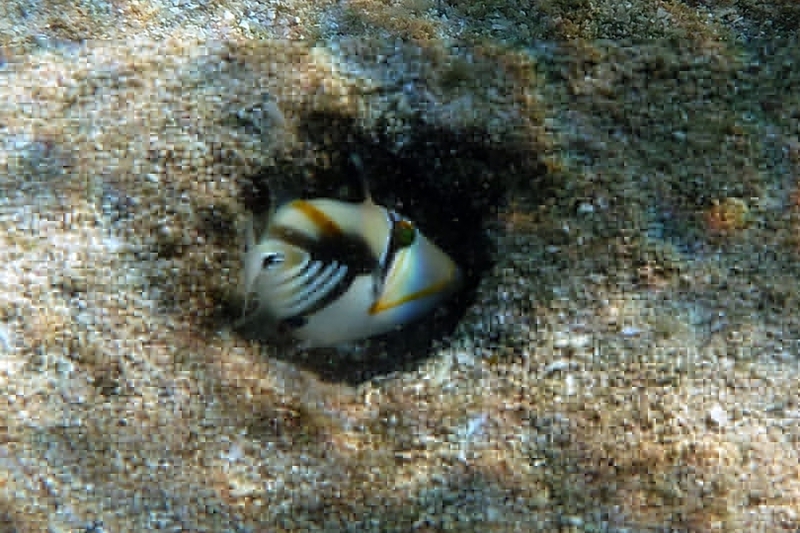 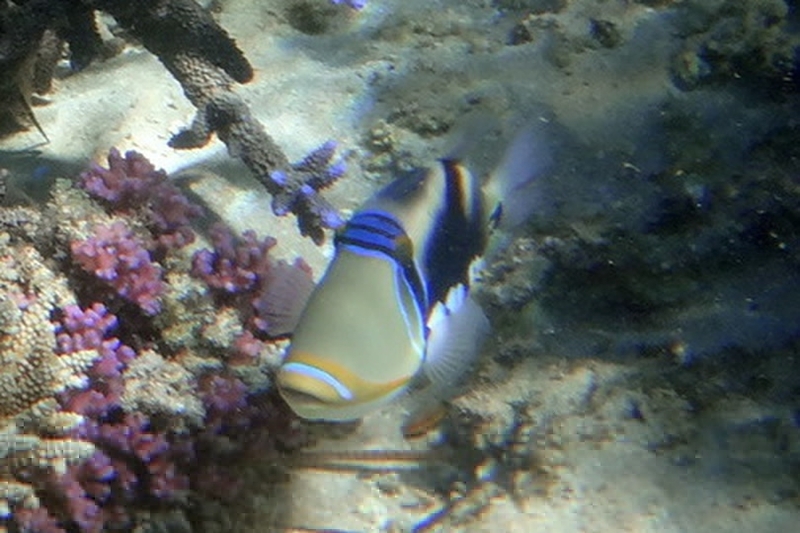 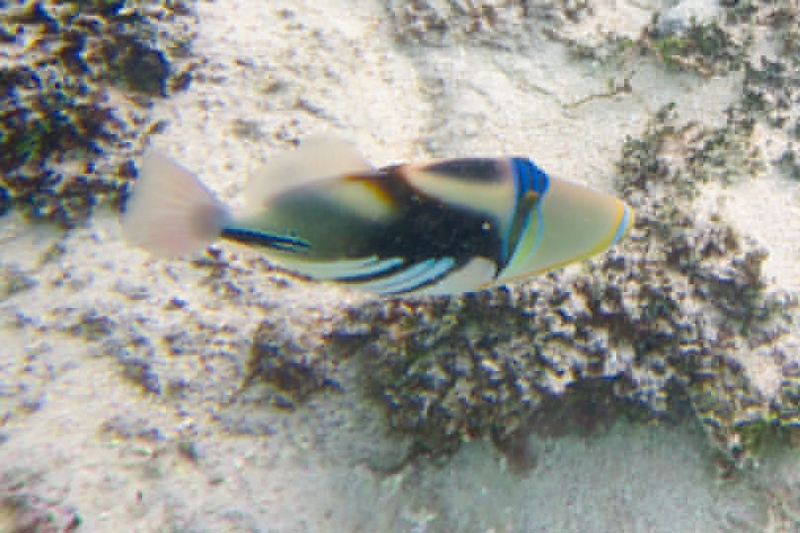 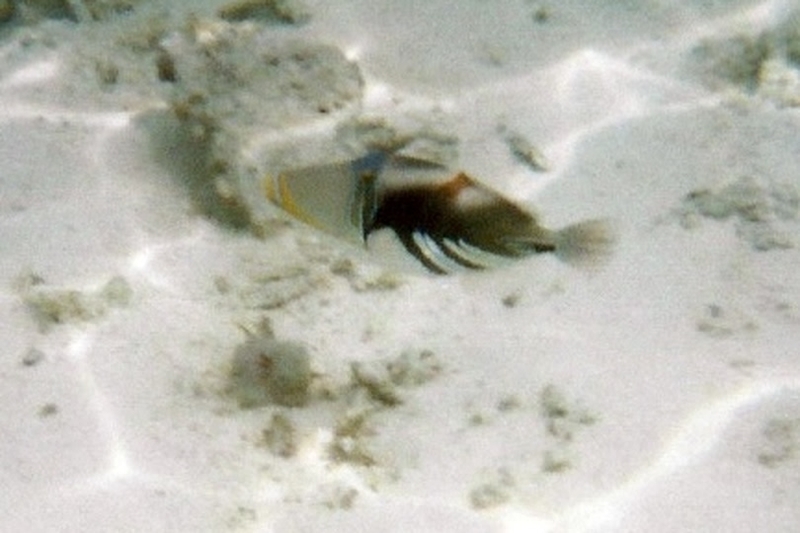 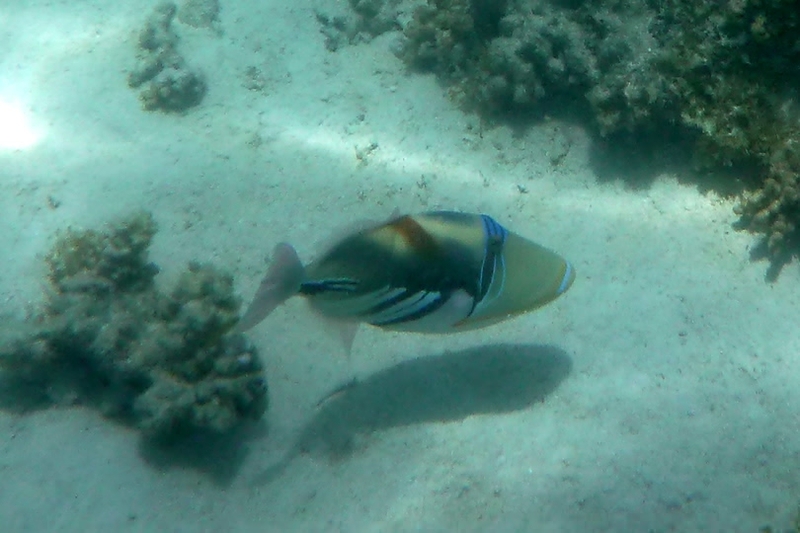 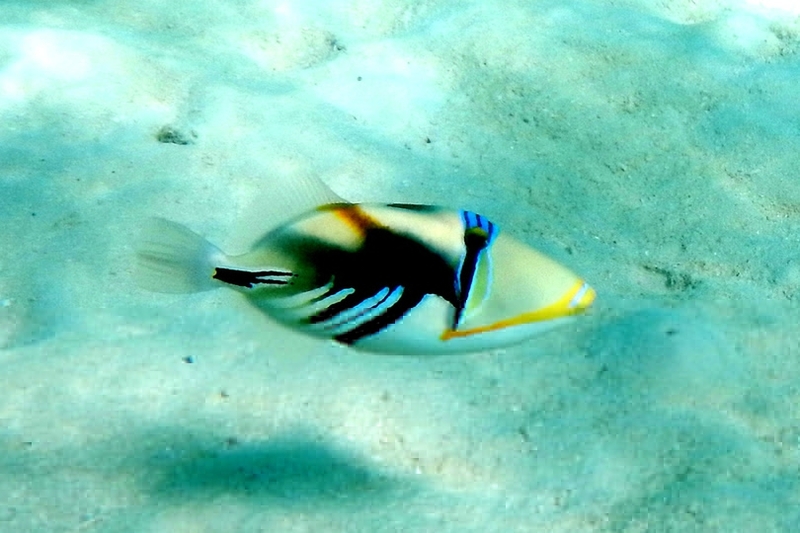 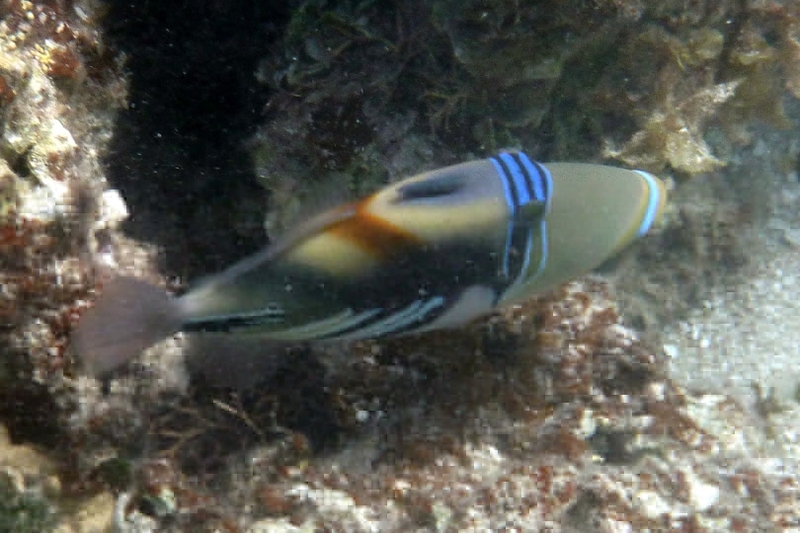 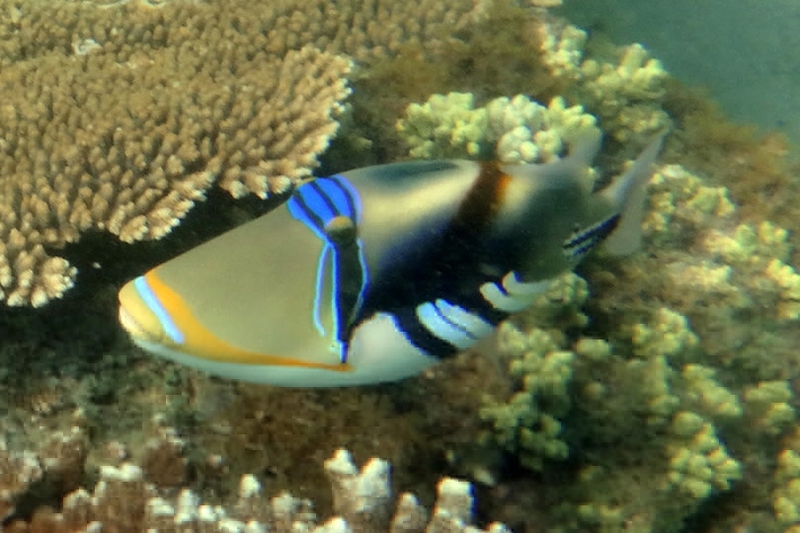 This is not the state fish of Hawaii, and is not to be confused with the Reef Triggerfish. 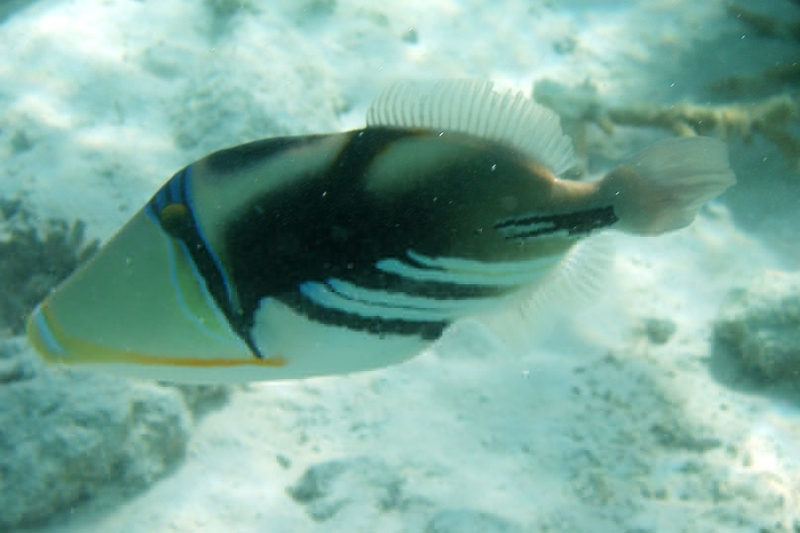 The state fish of Hawaii is the Reef, or Wedgetail Triggerfish. 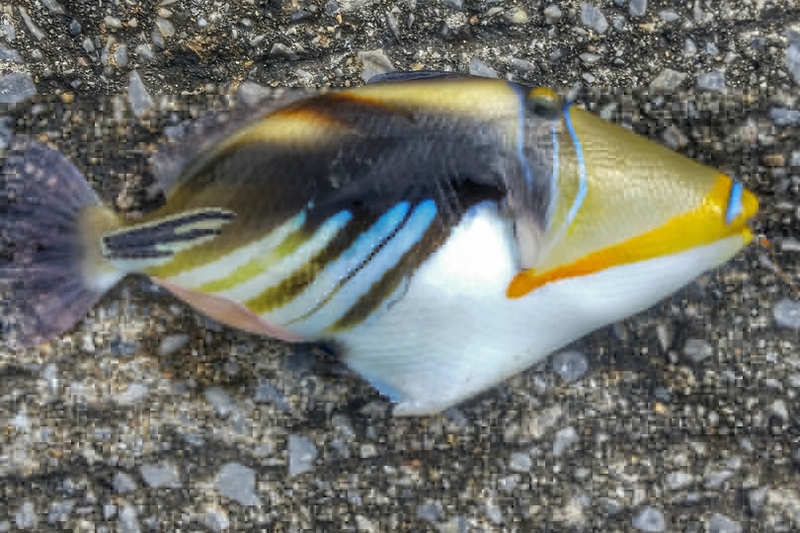 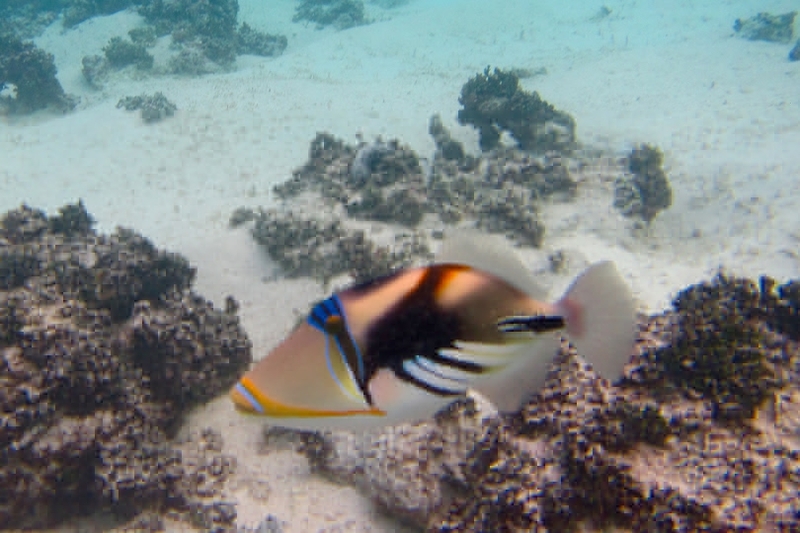 While the Wedgetail Triggerfish is plentiful in Hawaii, the Picasso is there also, but not near as plentiful.